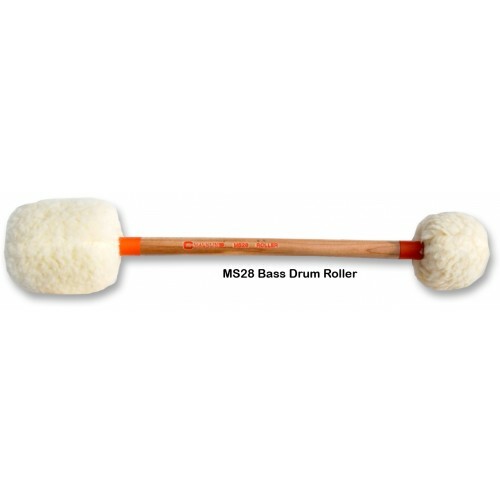 Chalklin Bass Drum Roller mallet. Double headed pair of mallets with large single stroke head on one end and smaller rolling head on the other. 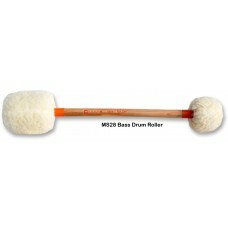 For the concert artist desiring full rich tonal projection from calf or plastic heads Chalklin offers a comprehensive range of mallets with balanced cores covered in either sewn felt or simulated lambswool which are suitable for drums of 71cm to 102cm diameter.